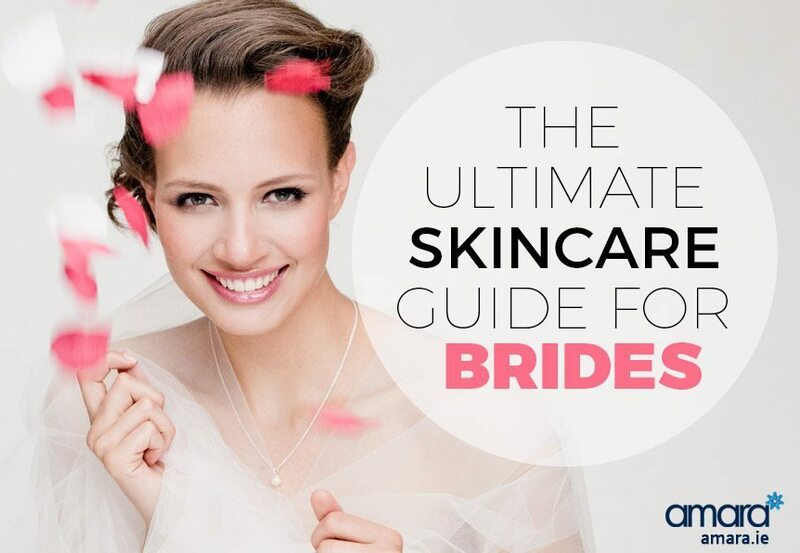 The Ultimate Skincare Guide For Brides! So the big day is fast approaching! You think you have everything covered but what about the most important thing?…Your face of course! In this post we’ll give you the ultimate skin care guide for brides to make sure your skin looks its best on your big day! When Should My Bridal Skincare Routine Start? Ideally your skincare routine should start from when you are a teenager or before, but if your wedding has kicked you into overdrive then no fear it’s not too late! To make sure your skin is glowing on your wedding day ideally your skin care plan should start a minimum of 6 months before. Starting with at least 6 months gives us enough time to see the changes you want in your skin. It is also wise to stay away from any new treatments or products from 3 months before your wedding day. For non-surgical treatments such as Botox or dermal fillers a minimum of 6 months is ideal. Skincare Guide For Brides – Where To Start? The first step in any perfect Skin routine is to see a professional! Think of a skin health specialist as a personal trainer for your face! Your skin health specialist will take a thorough look at your skin and start you on your personalised skin fitness plan. 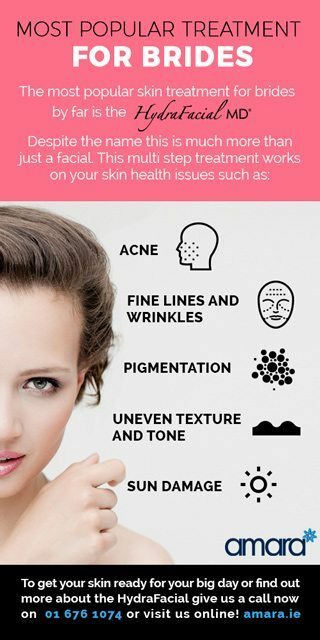 On your consultation your skin health specialist will go through any skin issues that you may have such as acne, acne scarring or signs of ageing etc. She will also go through your bathroom cupboards (so to speak) and see exactly what products you are using and what effect they are having on your face and also your diet. Many of us are using the wrong products for our skin type and are actually damaging our skin. Remember anything that is classified as cosmetic (bought in a shop) cannot have an active effect on your skin – meaning it’s not possible for it to be anti ageing. Tip: Bring your products to your first consultation so your skin health specialist knows exactly what products you are using. Once you’ve had your first consultation and your skin health specialist knows what you hope to achieve she will then recommend some treatments and products especially for you. What Skin Treatments Can I Get For My Wedding? The most popular skin treatment for brides is by far the HydraFacial MD. Despite the name this is much more than just a facial. The HydraFacial MD is a skin resurfacing treatment that cleans and extracts from your skin – it works on the majority of skin types (even rosacea sufferers) and shows a difference from the first treatment. And works to maintain optimum skin health in general. For best results 1 treatment every four weeks is recommended particularly when you have an end goal in mind. Depending on your skin needs this multi-step treatment can be completely tailored for you. Another skin treatment available is medical microneedling – despite the scary name it’s a very simple treatment that is fantastic for scar removal and rejuvenation. Your skin health therapist will advise you if this treatment is for you or not. What About Botox Or Fillers? Of course many brides choose to get Botox and/or dermal fillers to have a fresher look on their wedding day. If it is your first time getting either of these treatments ideally 6 months would be the minimum amount of time need. On average Botox lasts 4 months so you would be on your second treatment by the day of the wedding, by this time the doctor will know exactly what strength you will need for it to have the desired effect. Juvederm dermal filler lasts from 12 – 18 months and by doing the treatment 6 months before your big day you can make sure that you are completely happy with the treatment. Depending on your skin needs your skin health specialist will tailor your ZO Skin Health plan. Dr. Zein Obagi is a world renowned dermatologist and his range ZO Skin Health is cosmeceutical and can only be given after a consultation at Amara Clinic. The ZO Skin Health range complements the HydraFacialMD perfectly! Are you getting married soon? Start your skin health journey now and book in to see our skin health specialist.